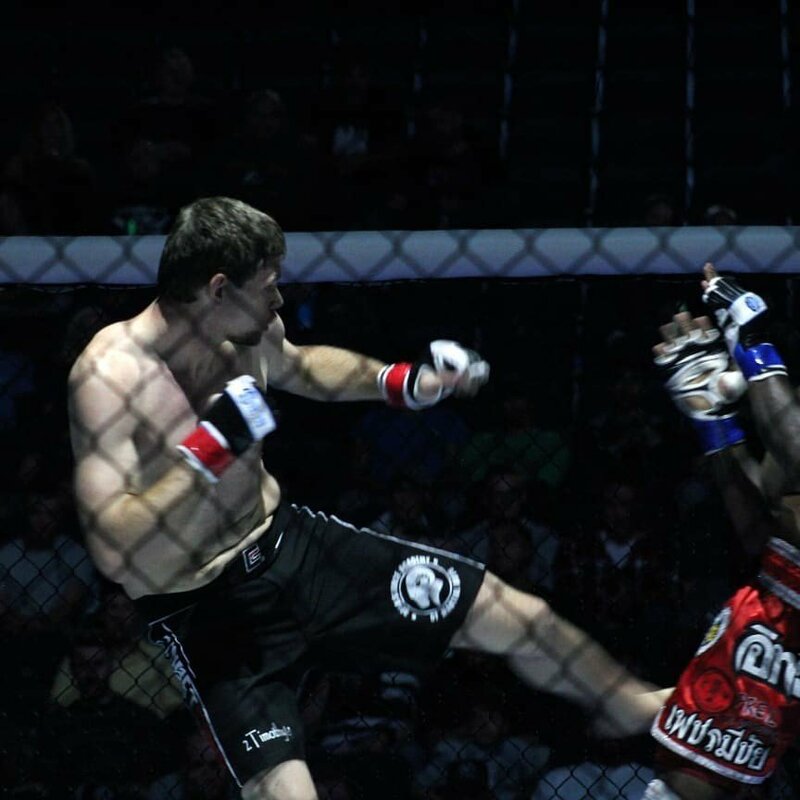 Tim Player had his first MMA fight Saturday night, Oct 20th 2018 at the SFL 36: ENLIST event in Virginia Beach. With his original opponent backing out on the day of the event, Tim got matched up last minute with a talented and tough Lester Lewis out of UGGA. The match essentially played out as a 3 round Muay Thai battle, and in the 3rd round Tim landed a take down and finished his opponent with an arm lock from side mount. Great job Tim Player! Respect to Lester Lewis and his team! For full event results and photos visit the Spartyka Fight League website.